Whether you’re heading into the mountains or just getting a little exercise, snowshoes are a key piece of gear for winter exploration. They make winter travel easier and more efficient by dispersing a person’s weight over a large surface area, providing flotation, and preventing them from sinking into the snow. 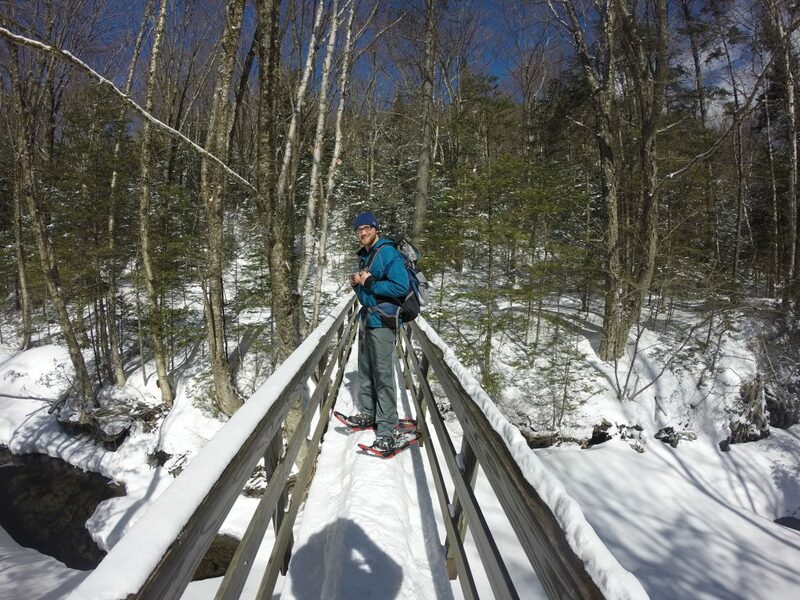 Can’t figure out what snowshoe is right for you? 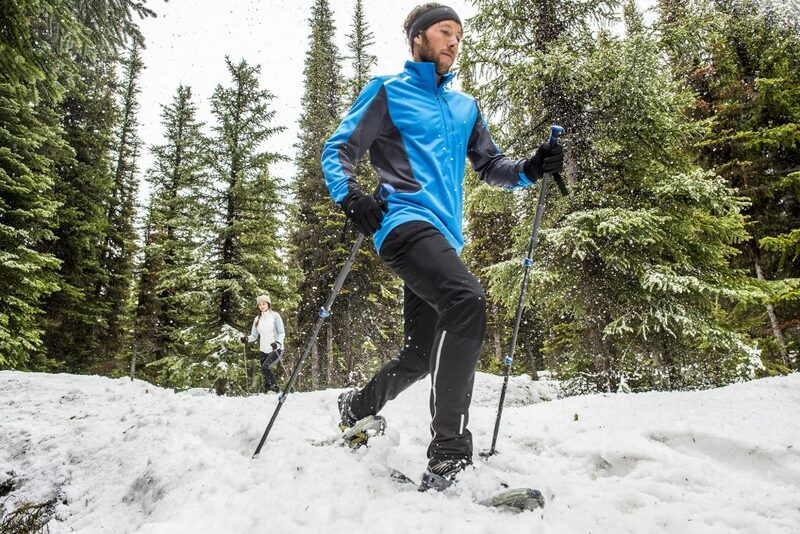 Keep reading to discover which features and benefits are best for you in a snowshoe. Snowshoeing means different things to different people. For some, snowshoes offer access to untracked powder deep in the mountains; For others, they are simply a way to enjoy the outdoors in winter. Because of this, snowshoes are designed to perform in a wide variety of terrain and applications, making the knowledge of how and where you’re going to use them one of the simplest ways to narrow down your snowshoe choice. 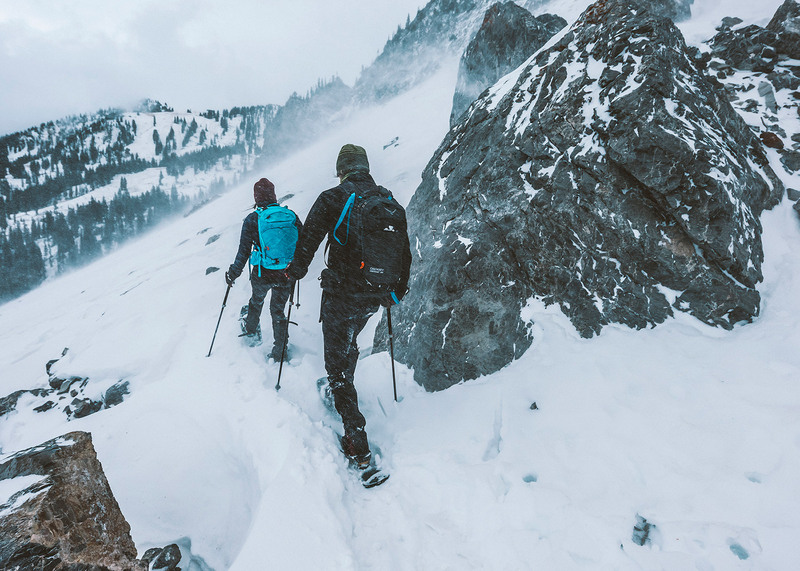 Designed to handle conditions encountered by the majority of users, recreational/hiking snowshoes are capable of handling all but the steepest and iciest terrain. They’re built for comfort and ease of use with enough traction and technical features to handle moderate terrain and hiking off the beaten track. Most snowshoes fall into this category. Mountaineering and backcountry snowshoes are designed for people going deep into the mountains and tackling demanding terrain. They feature more aggressive crampons (and, in many cases, serrated side rails and rear crampons) than hiking/recreational snowshoes for improved performance in steep and icy conditions. 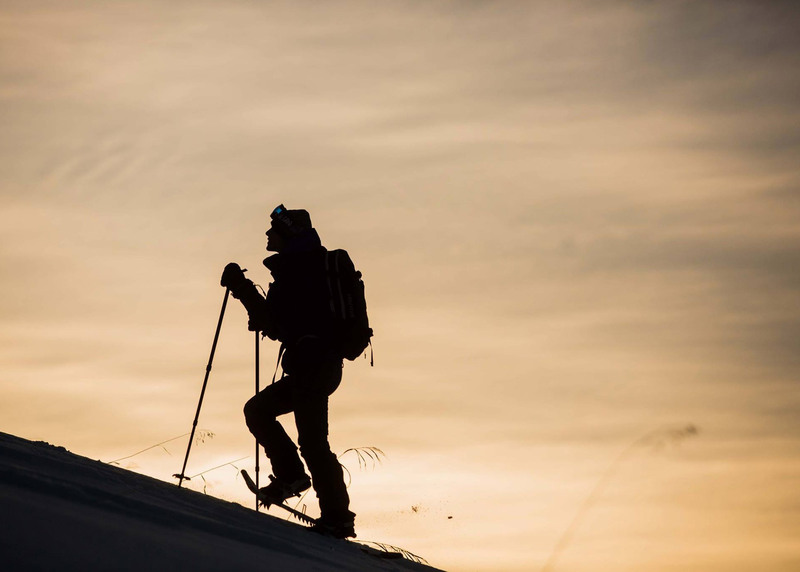 Since users in this category will be traveling far from civilization, mountaineering/backcountry snowshoes are built using burlier and more rugged materials and are typically field-repairable. Lastly, many snowshoes in this category have bindings designed to accommodate bulkier boots such as snowboard or mountaineering boots. 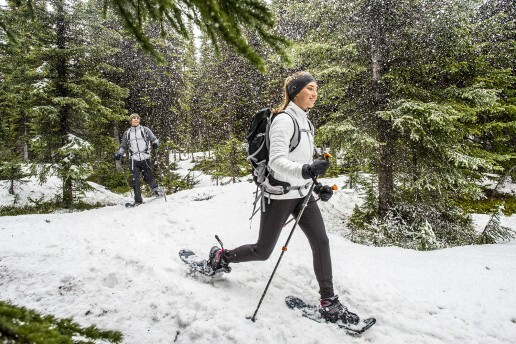 Running snowshoes represent a small niche of the snowshoe market, but are popular for people looking to take a break from pounding the pavement during the winter. Running snowshoes tend to be shorter, narrower, and lighter than other snowshoe styles, sacrificing some flotation to facilitate a more natural running motion. 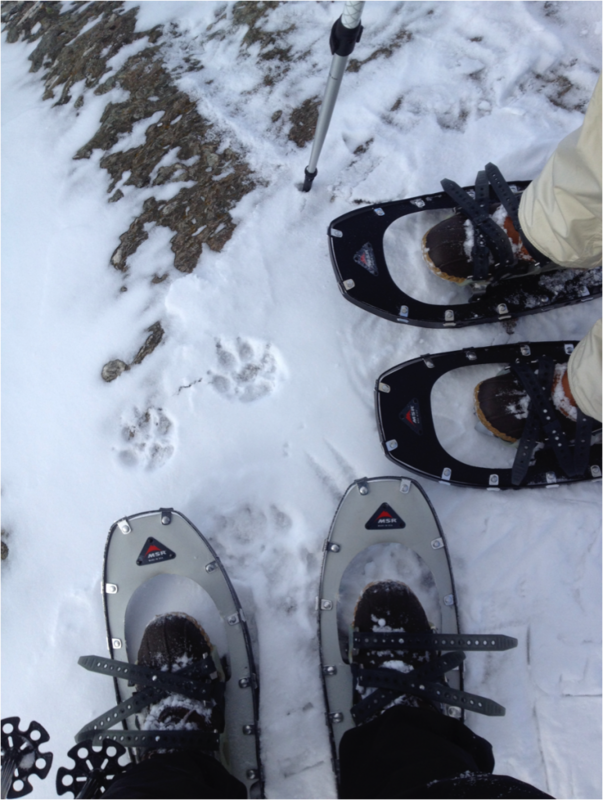 Additionally, the bindings found on running snowshoes are designed to accommodate sneakers, rather than boots. 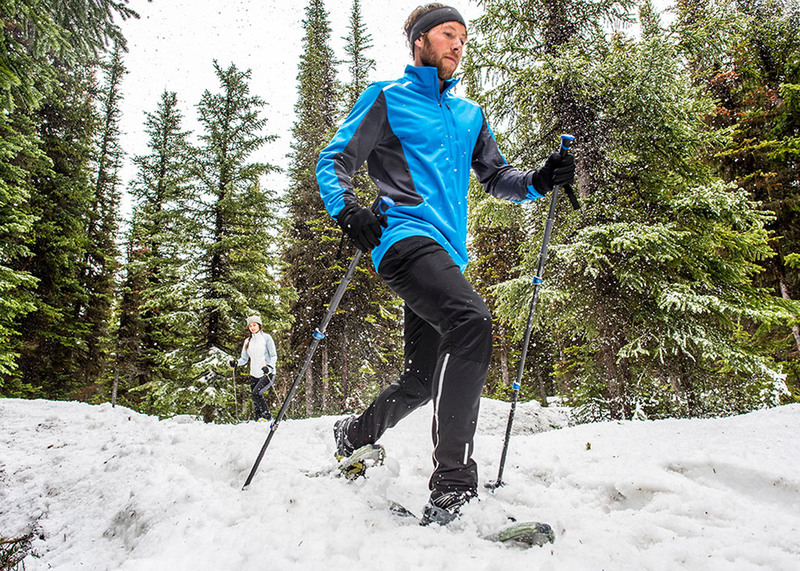 Pro Tip: To ensure your feet stay warm and dry, wear waterproof trail runners and ankle gaiters with your running snowshoes. Men’s (typically also considered unisex) snowshoes are designed for bigger bodies carrying heavier loads and come with bindings designed to fit larger boots. Conversely, women’s snowshoes are engineered for smaller people, lighter loads, and smaller feet. Women’s-specific snowshoes also frequently feature a tapered tail to account for a woman’s narrower stride. With that being said, many women can still be comfortable wearing a men’s/unisex snowshoe. Children’s snowshoes vary by age, but most are built to be easy on and off. Snowshoes for younger children are typically made for backyard use rather than backcountry, but snowshoes designed for older children incorporate the technical features found on adult models. Snowshoes work by dispersing a person’s weight over the surface area of the snowshoe—therefore, it’s important to get an appropriately-sized snowshoe for the load it will have to carry. Every snowshoe comes with a recommended weight range, which should be consulted before purchasing. As a general matter, if you’re under 150 pounds (with gear), you should be looking at snowshoes in the 21 to 25 inch range. For folks between 150 and 200 pounds (again, with gear), consider a snowshoe in the 25 to 30 inch range. Finally, for individuals weighing more than 200 pounds (including gear), look for a snowshoe over 30 inches. Balance this, however, with the terrain you’ll be traveling in—in deeper snow you’ll want a bigger size, while on well-packed trails a smaller shoe will be easier to use. Pro Tip: A good rule of thumb is to choose the smallest snowshoe available that is capable of carrying the load and handling the conditions you anticipate encountering, as smaller snowshoes are easier to walk in and weigh less than their larger brethren. This is especially true for hikers expecting to snowshoe predominantly on packed trails. GO: 40-90 lbs. | 80-150 lbs. | 120-200 lbs. | 170-250 lbs. | 220+ lbs. Today’s snowshoes fall into two different types of construction: wrapped frame and plastic decking. Most snowshoes are constructed using the wrapped frame model. Wrapped-frame snowshoes take their cues from the traditional wood-and-leather snowshoes of the past, updated with more modern materials like metal and rubber. Wrapped-frame snowshoes deliver a nice balance of light weight and performance and are well suited for use in soft snow. Plastic-decked snowshoes have become increasingly common in recent years. Unlike wrapped-frame snowshoes, plastic-decked snowshoes typically do not feature a separate frame—rather, the frame and deck are a single piece, making them more durable. Plastic-decked snowshoes are more packable than wrapped-frame snowshoes, but frequently are only available in one size, ruling them out for users headed for deep powder (although some modular snowshoes come with “tail”-like extensions). There are a few exceptions when it comes to snowshoe construction, most notably the MSR Lightning series snowshoes. 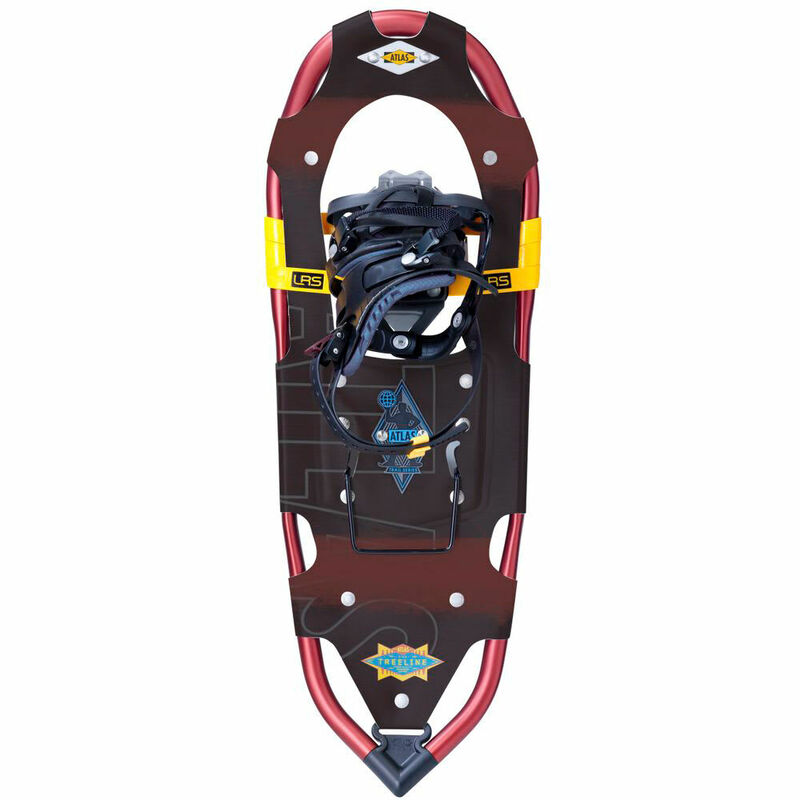 Rather than using a tube frame, MSR Lightning snowshoes feature a metal frame with serrated edges (and a rubber decking) to provide a snowshoe that blends the advantages of both wrapped-frame and plastic-deck snowshoes. A clear indicator of a snowshoe’s intended use is the design of its crampon and the traction system. The more aggressive the crampon, the more advanced terrain it’s built for. For example, a basic recreational snowshoe might have a simple toe crampon, while a mountaineering snowshoe will feature a toe crampon, a heel crampon, and side rails for additional traction in steep terrain. More so, crampons designed for steep and icy terrain will also typically be more aggressively-shaped to provide purchase in gnarly terrain. It’s also common for snowshoes designed for more extreme terrain to be outfitted with traction systems made of more rugged materials—switching aluminum construction out in favor of steel. 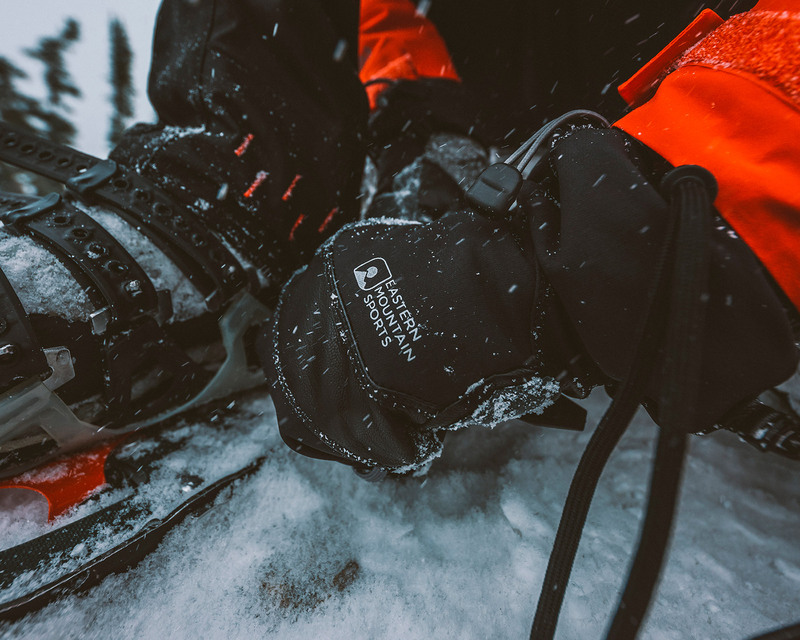 There are two things to consider when looking at a snowshoe’s binding: how it attaches to your foot and how the binding interacts with the snowshoe. Manufacturers use numerous ways to connect the binding to your foot. In fact, it’s common to see multiple connection methods used on the same snowshoes. Popular binding closures are webbing straps, rubber straps, snowboard-like ratcheting straps, and Boa dials. Webbing and rubber straps are the most utilitarian binding systems (and allow for replacement in the field), while ratchet straps and Boa dials are more easily adjusted and easier to use. Whether the snowshoe’s binding is “fully rotational” or “fixed” also impacts its performance. 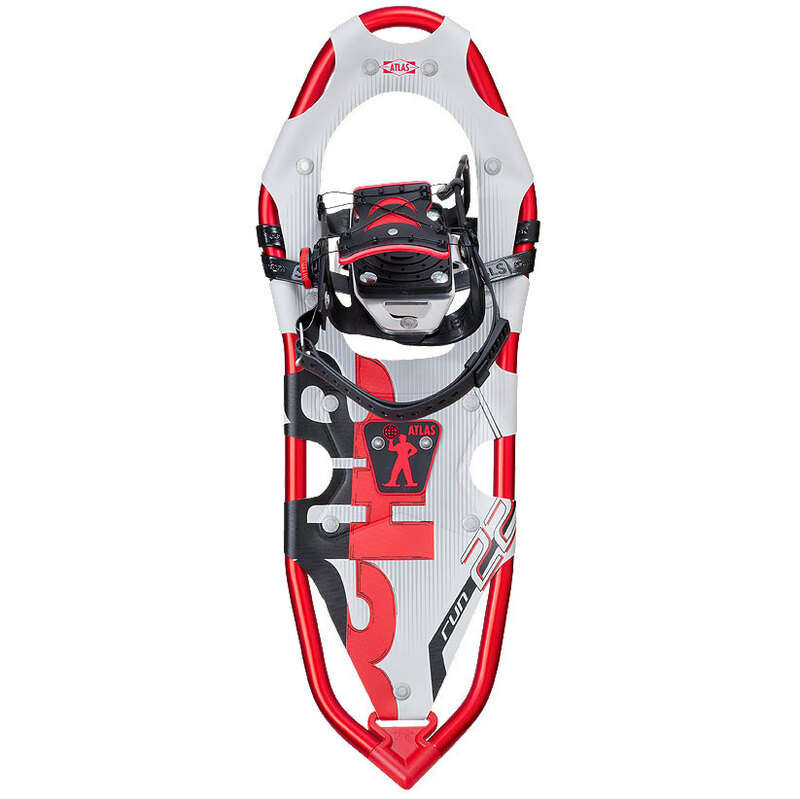 A fully rotational binding is attached to the snowshoe with a pivot or hinge and delivers a wider range of motion than what’s offered by fixed bindings. Rotational bindings allow for a more natural stride and make it easier to gain purchase on steep slopes. Alternately, fixed bindings attach the binding to the snowshoe with a strap or band. Fixed bindings bring the snowshoe tail up with each step, making them ideal for activities like running where a rotating snowshoe could present a tripping hazard. Heel risers, also called heel lifts or climbing bars, have become increasingly common on many snowshoes and are particularly beneficial on mountaineering and backcountry snowshoes. Heel risers can be flipped up to support the heel when ascending steeper terrain, putting the foot in a more natural position for increased comfort and less strain. Do you have a favorite snowshoe model or a suggestion for something new snowshoers should be on the lookout for? If so, we want to hear about it—leave your suggestion in the comments below! With the start of March comes mixed emotions. Some are anxiously awaiting dry trails, while others are sacrificing all-natural energy bars to the snow gods. Even though we’ve had some unseasonably warm days, we know the all-knowing groundhog told us not to give up on winter yet. Why would you, anyway? 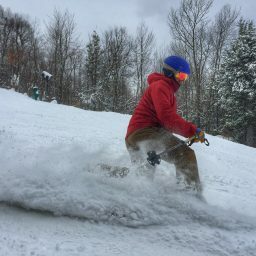 March has consistently been one of the best months for snow on the East Coast. 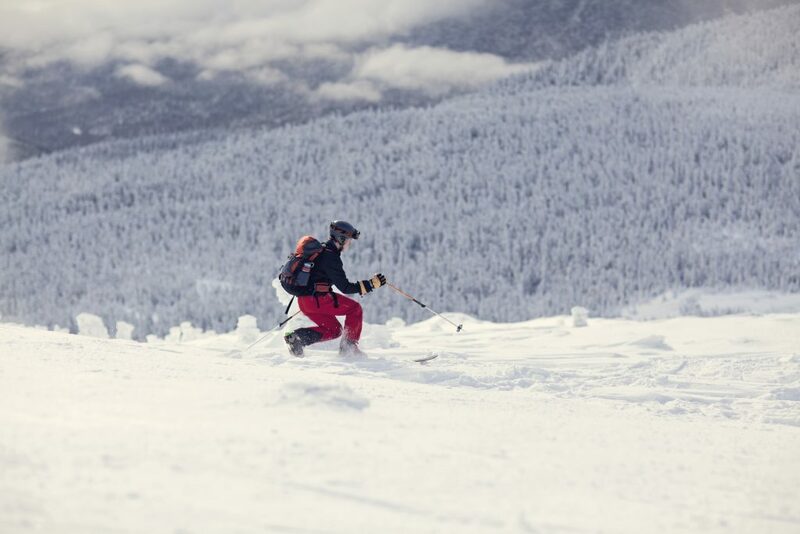 Now is the time to take advantage of Mother Nature’s white playground while she’s still here. The days are longer, and the temperatures are milder. This concoction creates the perfect recipe for snowshoeing, which is not only the best way to take in the scenery, but also builds muscle for spring hiking. 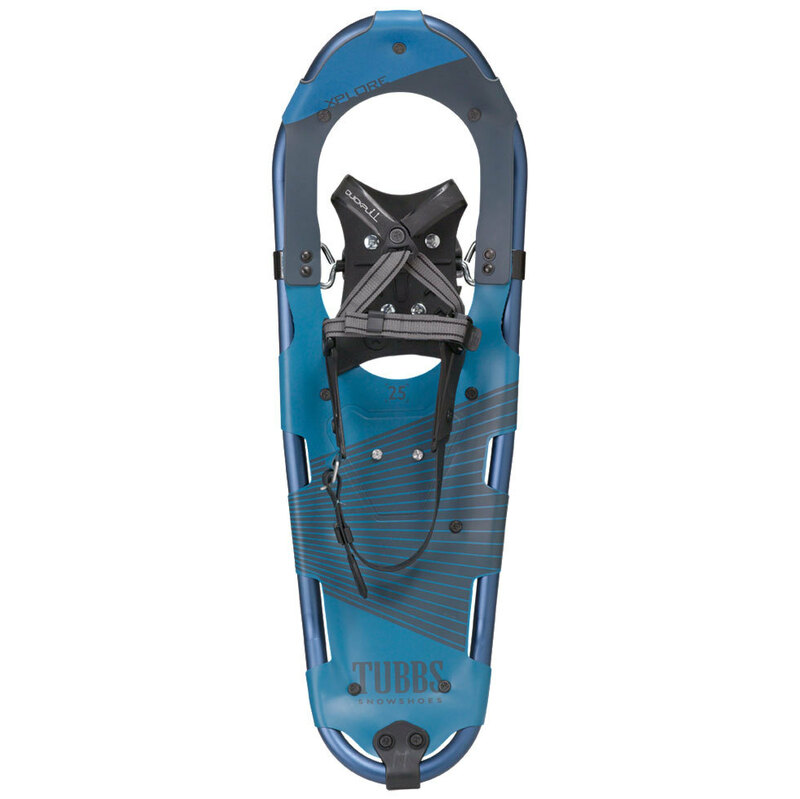 Recommended snowshoe: The Tubbs XPlore, available in men’s and women’s sizes, is incredibly user friendly and features a simple-to-use binding system. The light aluminum frame and SoftTec™ decking will keep you floating along the terrain. The price point won’t break the bank, either, which makes this shoe a great option for beginners. Where to use: Trail walking shoes are meant for gentle terrain with mild up and downhill portions. Some well-maintained state parks, as well as city parks with walking trails, can be good starter spots. Or, Mount Independence in Orwell, Vermont, is a great location to take in the sights of Lake Champlain from one of their many well-marked trails. 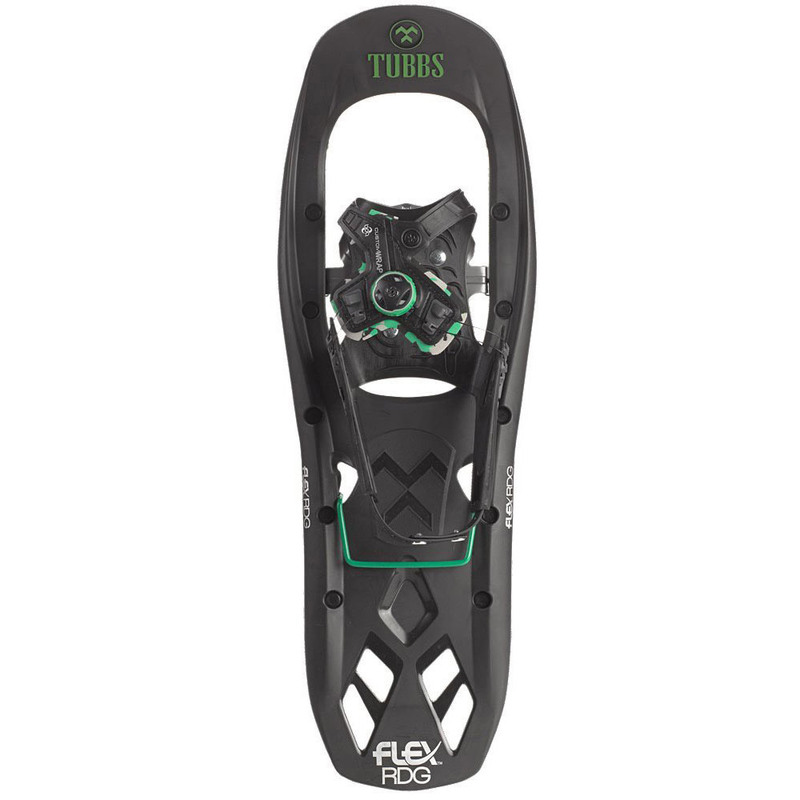 Recommended snowshoe: The Tubbs Flex RDG, also available in men’s and women’s sizes, uses a one-step binding system. With its Boa closure, all you have to do is push down and twist. This allows you to quickly adjust your binding on the trails without the hassle. Even better, in the unlikely chance that you experience problems, the binding comes with a lifetime guarantee. Can you beat that? Trick question: You can’t. The composite deck is also a great shock absorber, which is crucial for those full days outdoors. Where to use: Your options are endless! The East Coast is teeming with plenty of maintained day-hiking terrain. I prefer the Long Trail or parts of the Appalachian Trail, as they receive traffic year-round and are marked. 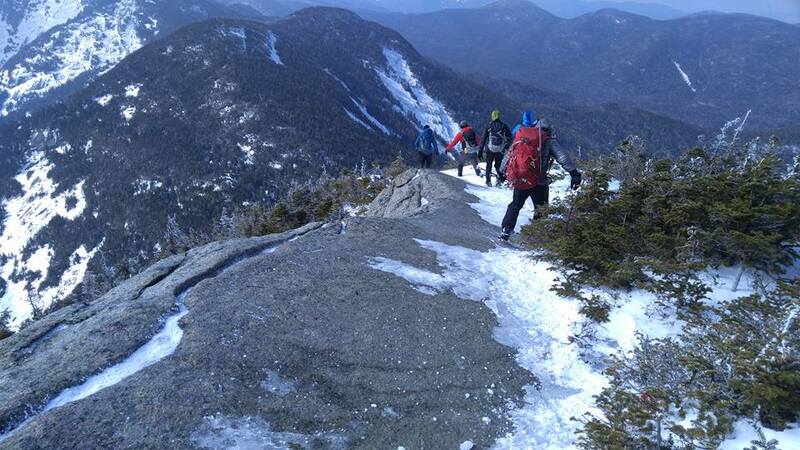 The Adirondacks also offer a wide array of day-hiking options: Buck Mountain and Sleeping Beauty are beautiful winter hiking spots in the Lake George region. Recommended snowshoe: The Atlas Treeline is available in men’s and women’s sizes. Atlas’ lightweight snowshoes have been setting the bar for backcountry expectations, and the range of motion offered will even make you forget that you’ve got them on. The binding system is similar to traditional crampons, offering a precise fit and hold for long periods of time. The binding is also perfect for snowboarders, as it can fit larger boots. That’s right: There is no need to drain your savings on a splitboard when you can buy a pair of Treeline’s. 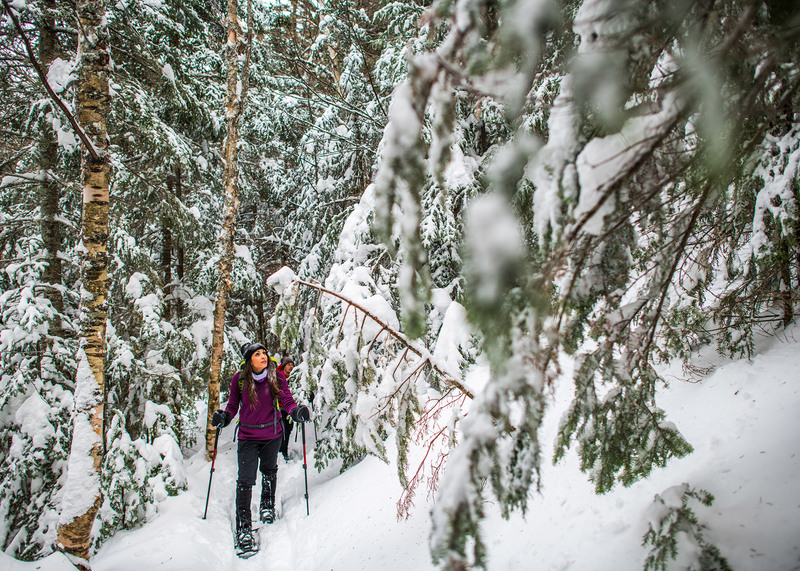 Where to use: Snowshoes like the Treeline are going to shine where the snow is deep and the lines are steep, as the traction catches the best on uneven terrains and hillsides. Mount Mansfield in Vermont and areas of The Whites, like the Presidential Range, are great locations for some blank snow canvas. Keep in mind that backcountry models are meant for more experienced snowshoers and mountaineers. Recommended snowshoe: The Atlas Run is a unisex snowshoe meant for moving fast. So, runners, rejoice: You are no longer constrained to only practicing on treadmills in the winter. The lightweight Run features a Speed-V frame and impact-absorbing suspension that allows you to keep going with minimal resistance. Also included here, the Boa system helps out with lightning-fast adjustments, so you can fuss less and spend more time running. Where to use: For trail runners, the Atlas Run will let you return to the terrain you are used to and love. If you strictly run on roads, opt for snow instead of pavement with these shoes, and you will have a good time. To begin, start with a walking trail, until you are comfortable enough to attempt varied terrain. Imagine yourself hiking alone through freshly fallen snow in the backcountry. There are no sounds of civilization—not even a plane overhead. You come across an animal’s track…Who left it behind? And, where were they going? 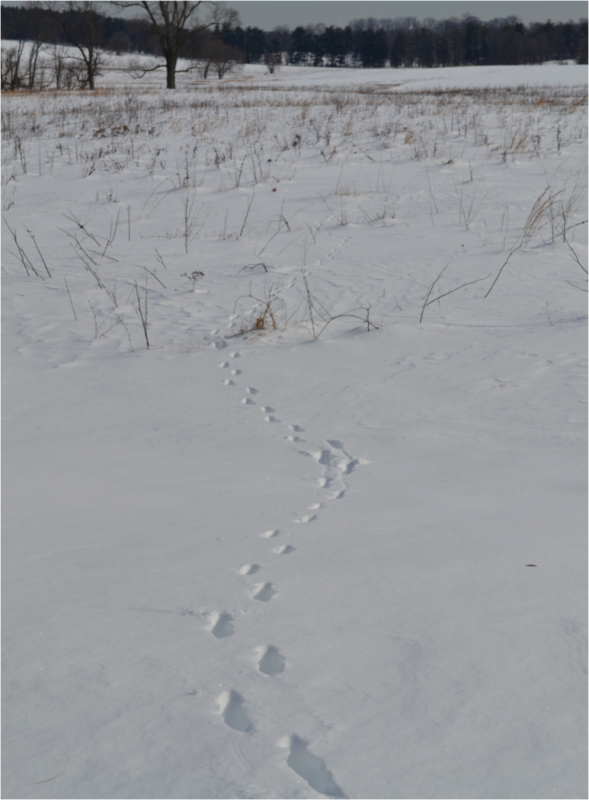 Today, my goal is to provide you with some basic information, so you can get started on your own winter wildlife tracking. 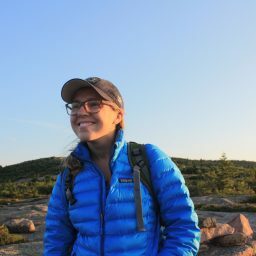 Here’s a little bit about my wildlife tracking experience: While doing my undergrad at the University of Vermont, I took a few semesters of winter wildlife tracking. The courses were based out of a large natural area in the woods of Northern Vermont. 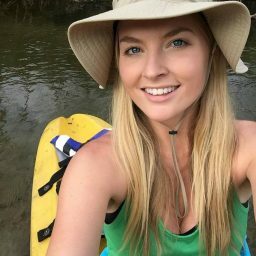 I also studied ecology, landscape natural history, natural resources, wildlife conservation, biology, and wilderness conservation. Despite all my studies, I would not call myself an expert tracker—not even in the slightest! I am just an amateur who enjoys exploring in the woods. I recommend choosing somewhere a little off the beaten path: the fewer human disturbances, the better. With that in mind, it’s safer to find some place you’re familiar with and wouldn’t mind stepping off the trail a bit. 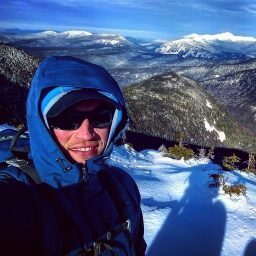 My favorite place to track in Vermont is on the Nebraska Notch Trail on the backside of Mt. Mansfield in Stowe. In Pennsylvania, I love going to Valley Forge National Historic Park after a big snowstorm. The most important thing is to find a place where you can be comfortable! Most animals are active at dawn and dusk, which is known as being crepuscular (in case you’d like to impress friends with a cool, new vocabulary word). I recommend going out first thing in the morning, a time of day when the animals you are seeking are less likely to have been disturbed and before tracks can be muddled by humans, pets, or the elements. I have had my most successful tracking adventures at 7 a.m. on a Saturday morning. Snowshoes: I have a pair of MSR Lightning Ascents. They are pretty technical, with a full crampon that makes for a good all-around snowshoe. Hydro Flask: Full of hot coffee or tea to keep you warm as you meander about. Waterproof boots: I wear my Oboz Bridgers, but heavier-insulated winter boots might keep you even warmer if it’s particularly cold. Backpack: EMS’ Sector Series 22L is a great lightweight option. The first thing I do when looking for tracks is take 10 to 20 minutes to tune into my senses. I was taught to find a spot in the woods just off the trail where I could sit in the snow and use each of my five senses in turn. First, I sit with my eyes closed and just listen: to the wind, to the sounds the trees make, and to the sound of my own breath. While listening to all of these different sounds, be sure to make note of them in your head. Consider their pitch, duration, repetition, tone, sequence, etc. Next, take another five minutes or so, still with your eyes closed, to take in the smells around you. After that, open your eyes and make this next five about taking in your surroundings. This time, try not to focus in on any one thing but instead to take in many at once. Finally, combine all the senses and take in the environment as a whole for a few minutes. The tracks you will look for are disturbances made into the baseline of the natural environment. When looking at your location’s big picture, all the components that are typically present in it—like a downed tree, the trail, the snow on the ground, the sun, the fallen leaves, and grass poking through—are aspects of the “baseline.” The baseline is the normal environment in front of you, minus any impact done by animals or humans, such as a stick nibbled on by a deer, a nut chewed by a squirrel, or a branch snapped by a boot. These are disturbances, because they interrupt what is normally present. When wildlife tracking, the key is to step back to try to see the bigger picture of what is in front of you, so that disturbances become more obvious. Tracks are just a small disturbance into the greater picture, or the baseline, and they are the evidence left behind of animals that were once there. Once you are ready to begin tracking, a good place to start is up high on a ridge or down low in a valley. Predators like to be at a higher elevation for a good perspective when stalking smaller prey. Valleys and low areas tend to be animal highways consistently being walked, trotted, crawled, hopped, and run through. Walk around for a while, keeping the big picture of the entire environment in mind as you do so. Your body may be up on the ridgeline, but let your mind wander to those valleys. Patience is the name of the game here, and tracking isn’t something that can be rushed. Take your time, and when you do find some tracks, stick to them to see where the adventure leads! Tracks made in direct sunlight crystallize and turn icy due to the melting process. They also crisp up and harden where the greatest amount of force was made in the mark. For example, pressure put into the ball of the foot is where there will be a significant amount of icy change comparable to the track’s edge. In addition, watch out for sunlight. It can create shadows that may result in misrepresentation within the track. Tracks that are made under cover and do not receive direct sunlight will have less melting and less iciness. When I find a new track that I am uncertain of, I like to take my glove off and feel the edges of it. See where the deepest parts are and feel how icy the track is. The track’s age can be determined by how icy it has become. The icier it is, the older and more forcefully the animal made the track. Another thing I like to take notice of is how far apart the tracks are. Was the animal running, hopping, walking, or stalking? If it’s a squirrel headed for a tree and the tracks are fairly spaced, maybe it was getting there in a hurry, because it was being chased. When trying to decipher who left the track, I revert to my handy pocket guide! It’s fun and exciting to try to identify who left the track, and it gives clear tips on what characteristics to look for in the tracks you’ve found. This carnivore, part of the weasel family, is the size of a large house cat. Tracks are 2 in. by 2 in. generally, and their patterns commonly feature a bounding gate. They have five toes measuring 3 in. wide by 4.5 in. long. This carnivore’s tracks, with four toes, can be found in a nearly straight line. Oval tracks measure 2 in. to 3 in. long and usually show small triangular footpads. This carnivore, with four toes, has oval tracks measuring 2.5 in. to 3.5 in. long, and they usually show footpads. They typically walk or trot in an alternating pattern. This five-toed omnivore has front tracks measuring 5 in. by 5 in. and rear paw tracks measuring 7 in. by 5 in. These bears generally walk on the soles of their feet and tend to follow preexisting trails and roads. Additionally, you may find tree markings nearby. This herbivore has tracks measuring 5 in. to 6 in. in length and 3 in. to 4 in. wide and usually featuring prominent dewclaw imprints. You may also see a “heart”-shaped imprint left behind. This herbivore with three toes has tracks measuring 3.5 to 4.5 in. long by 3.75 to 4.25 in. wide. Their stride is generally a straight line, with tracks 8 to 14 in. apart, depending on its speed. Troubleshooting: 404 tracks not found! What do you do when you hit a wall and can’t find the next track? I think the biggest part is making sure you are seeing the whole baseline. I know that when I get excited, I can become too focused on one track or even one line of tracks. As a result, I end up losing sight of things, and then it seems impossible to find more tracks or even where they were headed. When you can’t find the next track, retrace to where you started: Look at the initial track, then back up and take in the whole baseline again, and follow those disturbances to the baseline and see where they lead. If the track still seems to end, examine why: maybe it ends on the ground there and picks up on a tree instead, maybe the animal changed direction abruptly and the tracks head in an unforeseen direction, or maybe the rest of the tracks just can’t be found. Just because they’re lost or unseen does not mean they’re not there. The key part of reacting to situations like this is to remain calm. So, keep at it, and remember that the adventure of wildlife tracking is in finding a brand new set to follow. 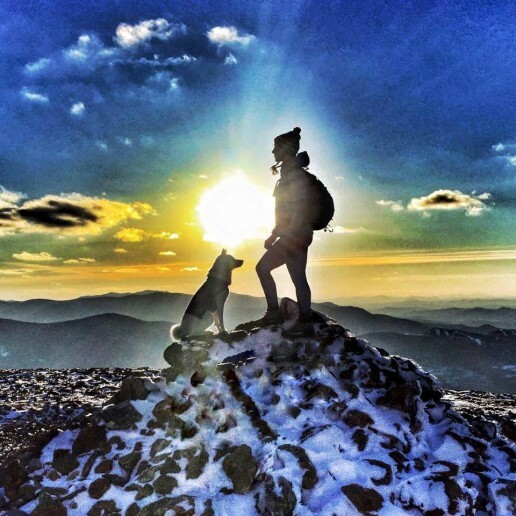 If you’re hiking in the Northeast, and you see someone dressed as Wonder Woman flying by, accompanied by a small white wolf, chances are you’ve just met Alton and Cole. Look fast, because you’ll have a hard time finding a more extreme duo. Alton, a licensed mental health clinician by day, is an accomplished triathlete who was nationally ranked in her Ironman days. 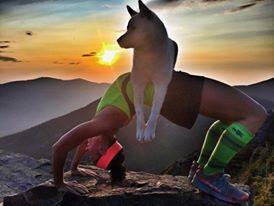 Today, she spends most of her time power-hiking monster treks that would bury the average day-hiker, often in fluorescent superhero costumes with her Shiba Inu companion. Any hike they take on isn’t for the faint of heart, but if you’re feeling ambitious, this is where Alton recommends taking a look. However, exercise some caution: Some of the routes described are extremely difficult undertakings, and should only be attempted by hikers with the appropriate experience, gear, skills, and fitness. The “Hut to Hut” is a gnarly route that connects each of the AMC’s eight mountain huts. It stretches more than 50 miles over rugged terrain, and has a mind-blowing 16,000-plus feet of elevation gain. Alton crushed it in 21 hours straight, solo in 2011. Best Memory: Finishing! Also, experiencing and learning a massive portion of the trail system. Worst Memory: Exhaustion at mile 45, and the brief doubts about the desire to finish. Advice: Leading up to an attempt, get plenty of sleep beforehand. Try this as a “day” hike, and you’re guaranteed to look like the walking dead by the end. Also, avoid spending much time at the huts. The comforts can tempt you to stick around, and the time will add up! Photo courtesy of Alton Eckel. This route contains well over 30 miles and 10,000 feet of vertical, including what many consider to be one of the Appalachian Trail’s hardest stretches. Doing it in deep snow and sub-zero temperatures is simply unheard of. Last winter, Alton and Cole, with a few superhero friends, defied the odds and became the first to complete a full winter traverse in a single day, at 22 hours. Best Memory: Working as a team to literally survive this one. Passing Cole through treacherous icy boulders and crevasses covered in deep snow in the dark was pretty rad. Worst Memory: Thinking we might not finish in under 24 hours, and water supplies freezing up. Advice: Don’t attempt this one solo. 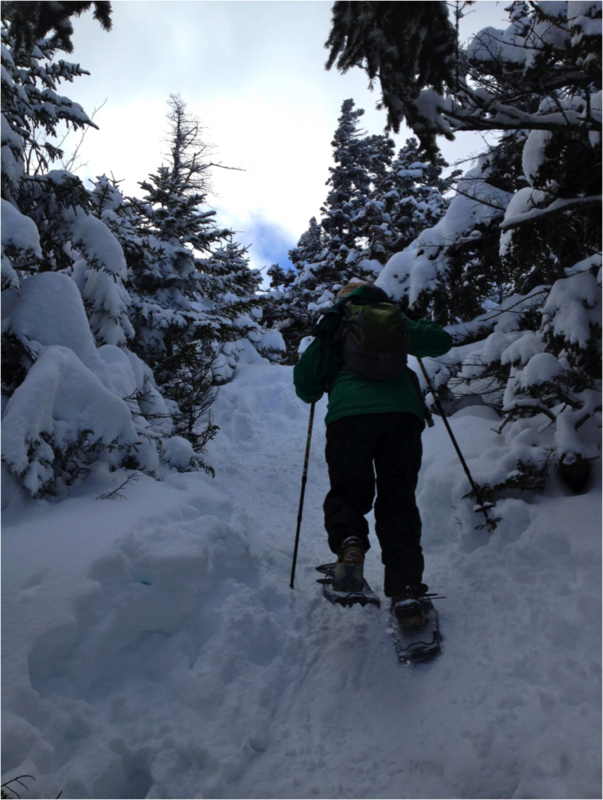 You will likely break trail in snowshoes all day, and there are very few bail-out points. This is a classic Northeast challenge that spans over 26 miles and adds over 10,000 feet of elevation gain. The extremely rugged trails, exposed ledges, and cliff scrambles help explain why Backpacker Magazine once labeled this the third-hardest day hike in North America. I had the pleasure of joining Alton and her crew for this hike last year in an especially icy February. Alton hiked it in about 15.5 hours, while I limped into the finish about an hour later. Best Memory: Catching the sunset on Haystack. Our whole crew grew silent and took it all in during a true Zen moment. Worst Memory: Honestly, nothing. That day went really well. 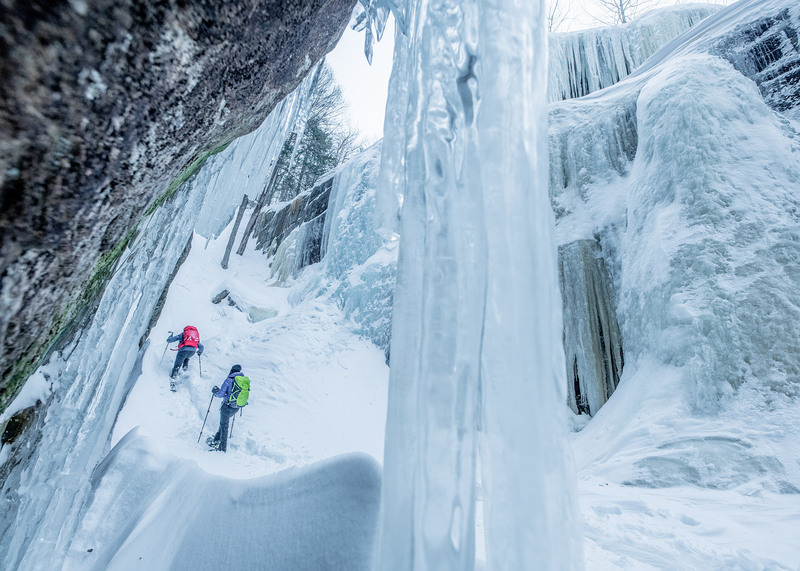 Advice: Be sure to have crampons, as you are bound to hit loads of steep ice. This is a custom route Alton, Cole, and her boyfriend Nate crushed this summer. 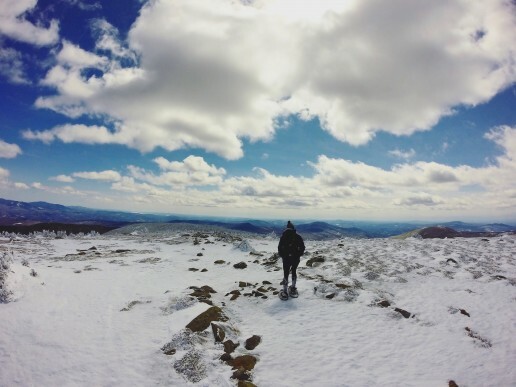 It is basically a combination of ascents and descents on the Northern Presidential Range’s steepest and most terrifying trails. Head up Caps Ridge, down the Sphinx Trail, up an abandoned Adams Slide, down into the Great Gully, up King Ravine, down Buttress, up Six Husbands, and finally back down Caps Ridge, for a total of 20 treacherous miles and nearly 11,000 feet of elevation gain. The power couple completed this in a mind-blowing 13 hours. Best Memory: Exploring so much technical trail and a pile of challenging rock routes, all in one trip. Worst Memory: Missing the sunset on Jefferson’s summit by a mere 15 minutes. Advice: Only attempt this hike if you are very comfortable on steep rock slab. 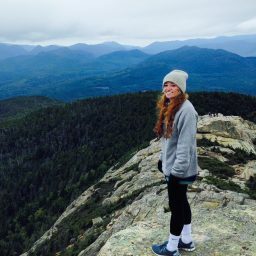 This loop hike runs roughly 34 miles around the western half of the Wilderness, over New Hampshire’s highest peaks outside of the Presidential Range, and includes a total elevation gain of about 10,000 feet. 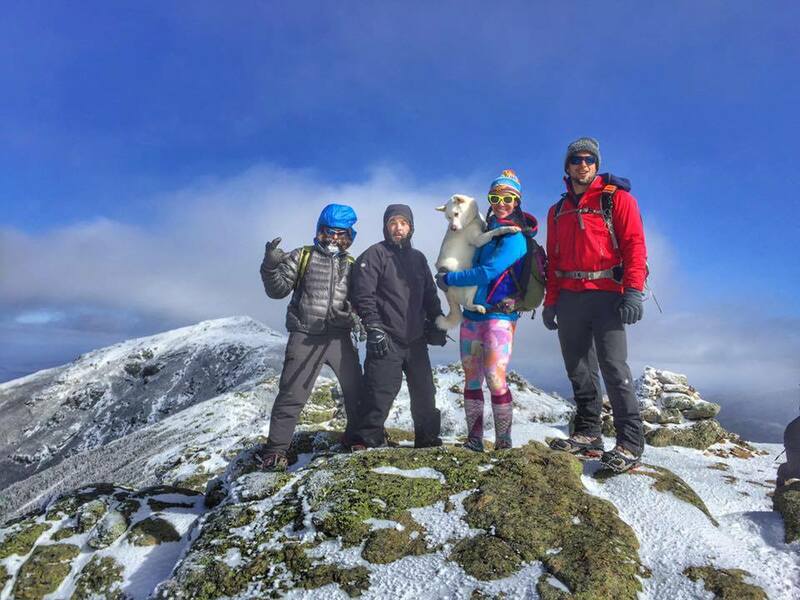 Alton and Cole became the third female and the first dog to complete a full winter Pemi in a single day. Alton likes this one so much, she has done it three times, all between 14 and 16 hours! Best Memory: The thrill of victory when completing this myself, and then later with Cole. Also, a great sunset on Mt. Bond during my last trip. Worst Memory: Anxiety before this trip. I’m rarely nervous before a hike, but this one had me thinking of all the things that could go wrong. Advice: Pack smart to stay light. A heavy pack will wear you down on these 30 mile-plus days.